Can you believe that spring has officially sprung and we're on the final countdown to the Bank Holiday weekend? Now, it might not look like it (judging by the hideous drizzly rain outside) BUT we are finally coming into lighter, warmer days - and I don't know about you but when that happens, I am all about the social events! First things first, you've got to get people there. The lovely team at Paperless Post recently got in touch (which sparked the idea for this blog) and is the perfect way to get word out about your party. If you haven't heard of them before, they are essentially an online invitation site where you can browse hundreds of gorgeous designs, which can be fully customised and sent to your friends online. 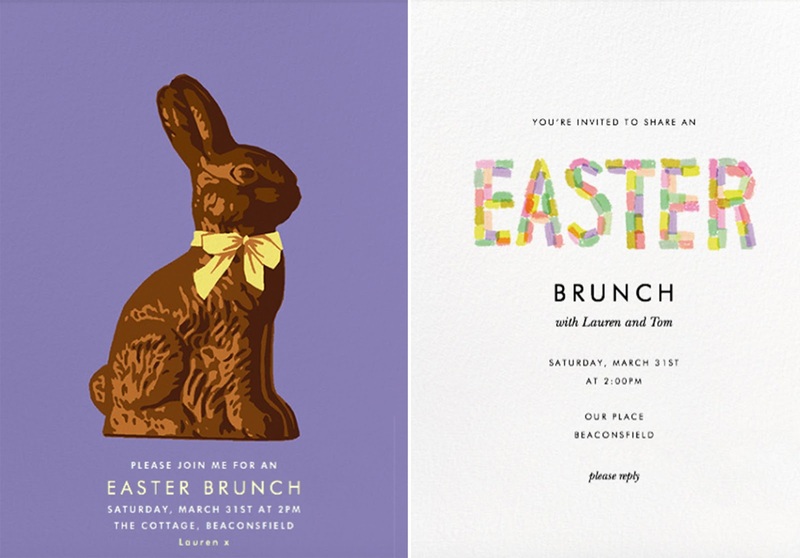 They've partnered with loads of huge designers like Oscar de la Renta and Kate Spade and have invites for every occasion from Easter brunches to Wedding Save the Dates and Game of Thrones viewing parties! I love how simple the whole process is and it's a lot more personal than just sending out a group WhatsApp message. In terms of cost, it's pretty cheap too. You pay using 'coins' and the price of the card depends on how premium your choice is and the level of customisation - if you keep things fairly simple though you're looking at around a tenner for 20 invites! All good brunches start with plenty of bubbles right? 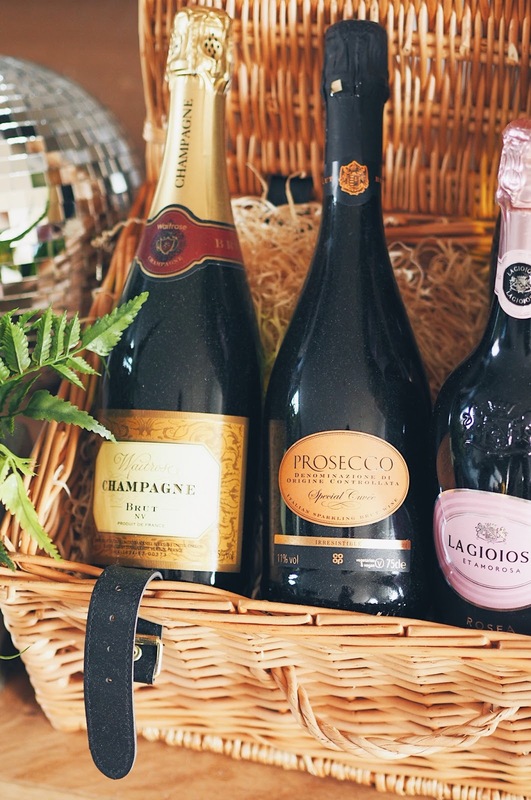 The supermarkets have some great offers on Prosecco in the run-up to Easter so you can get yourself some brilliant deals without having to break the bank too much! Aldi is currently selling their magnum for just £12.99 and you can get yourself a 1.5 magnum in Tesco for £15! Don't forget to buy some orange juice so people can have Bucks Fizz or if you fancy something a little more special, you could also try serving the Rose Spritz I introduced you to a few weeks ago. You're going to need something to soak up all that Prosecco so plan your menu in advance and make sure everything you're serving can be easily prepared in advance. 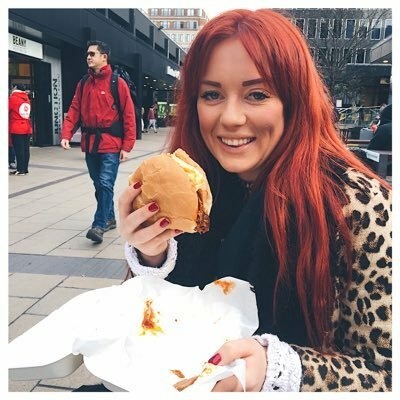 Stock up on bagels, pastries and croissants and lay out platters of fruit, bacon and smoked salmon so people can help themselves. I tend to steer clear of eggs as they can be tricky to get right when you're cooking for big numbers but Mini Avos on Toast are bound to go down well! I find little 'picky bits' work best and make sure everything can be eaten with your hands (unless you're planning a sit-down lunch). Because that's what Easter is all about right?? Dot little bowls of mini eggs around the house so people can nibble on them while they're chatting. 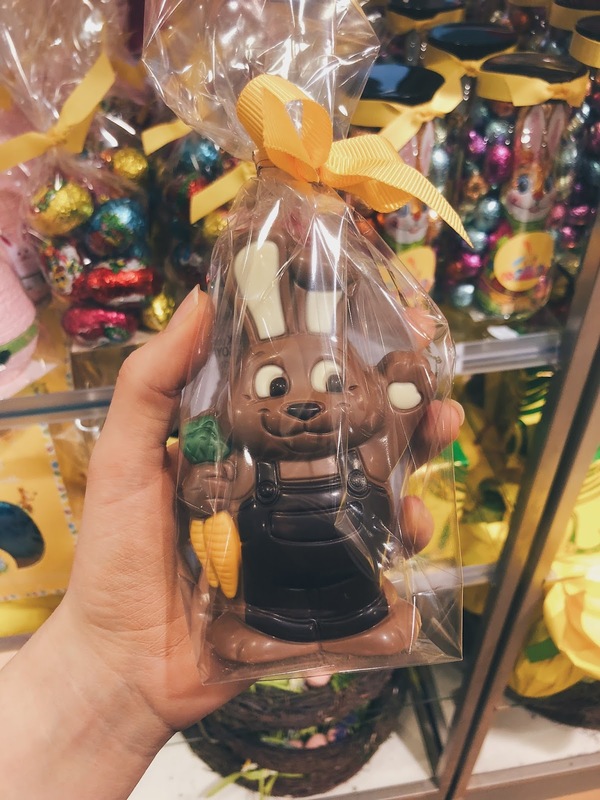 My local Sainsbury's has a HUGE selection of Easter themed chocolates and John Lewis is selling these super cute chocolate bunnies which would work as party favours for your guests to take away. Whether you decide to go for a sit-down meal or serve the food buffet style, make your table the absolute centre-piece for your party. The shops are packed with AMAZING Easter themed decorations at the moment but my absolute go-to is Ginger Ray. Start with a gorgeous table runner then add texture by layering pastel-coloured napkins, straws and table confetti. 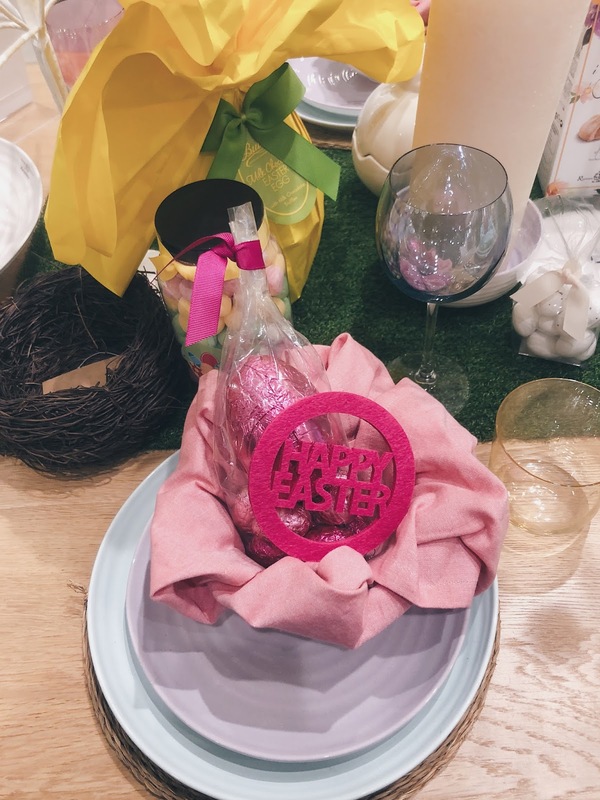 Sainsbury's has the cutest mini chicks which would make fab table decorations and you really can't go wrong with anything Easter egg shaped! You could also place fresh bouquets of flowers at either end of the table to inject a bit of colour. Another big trend this year is for Easter Wreaths which are a fab way of welcoming your guests into the party as soon as they arrive at your door. The whole point of throwing a brunch or party is so that you can spend time having fun with your friends. If your mates are really your mates, they won't care if something goes a bit wrong (and chances are they won't notice!) so don't get too stressed out and just enjoy it! Do you have any plans this Easter? Let me know in the comments below!